She belongs to Planeptune's Intelligence Guild. She's known Neptune and Compa for a long time, and they're all very close. As one of the few people around with common sense, she is usually the one looking out for others. When someone is being ridiculous, she'll usually be the first one to say something about it. 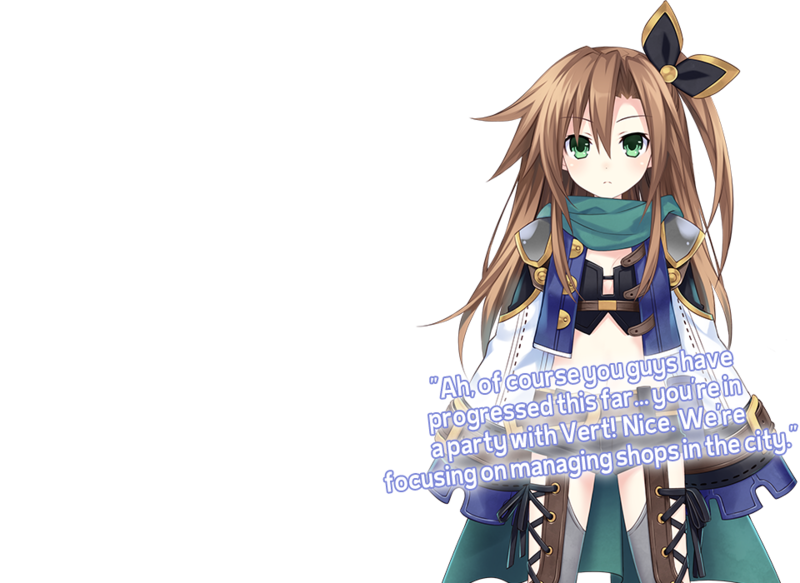 That being said, she's, of course, constantly troubled by the zany antics of Neptune and Compa. She has chosen the Adventurer class within this game. 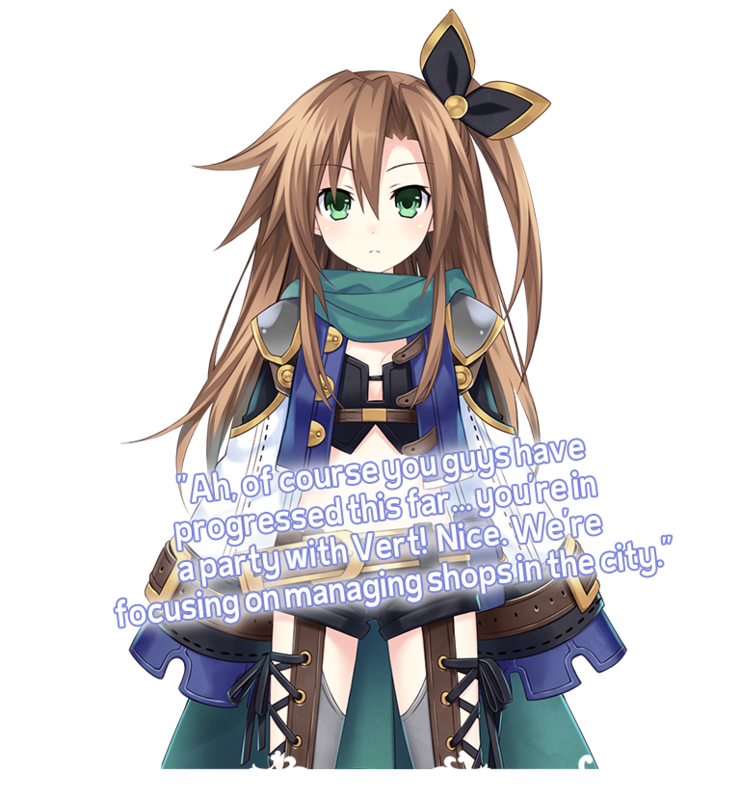 Together with Compa, she collects or synthesizes items, then sells them in their shop for money and EXP. IF is in charge of utility items.